Bring home a little piece of Hawkins this holiday season. 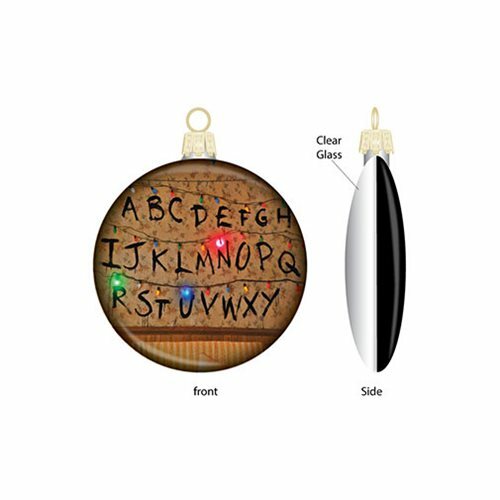 This Stranger Things Lights Printed Glass 80mm Disc Ornament features the alphabet lights from season one of the hit Netflix series Stranger Things. It measures approximately 3 1/4-inches tall.